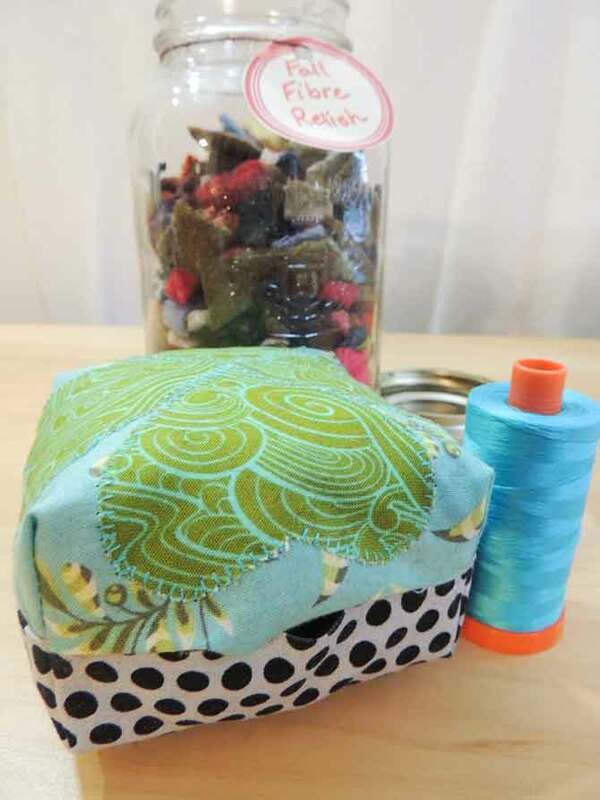 A shamrock can be added to items in your sewing space to give it a fresh feel for spring – maybe even increase your luck in managing your stash or finishing projects! In yesterday’s post I used a shamrock to make mug rugs from the stitch samplers I created with PFAFF’s passport 3.0. Today on QUILTsocial I’m going to show you how to make a lucky four leaf clover pincushion. I’ve been making lots of different projects this winter with PFAFF’s passport 3.0 and finding that I really don’t have to think about what I’m doing with the machine to get great results. This allows me to focus on my creativity! 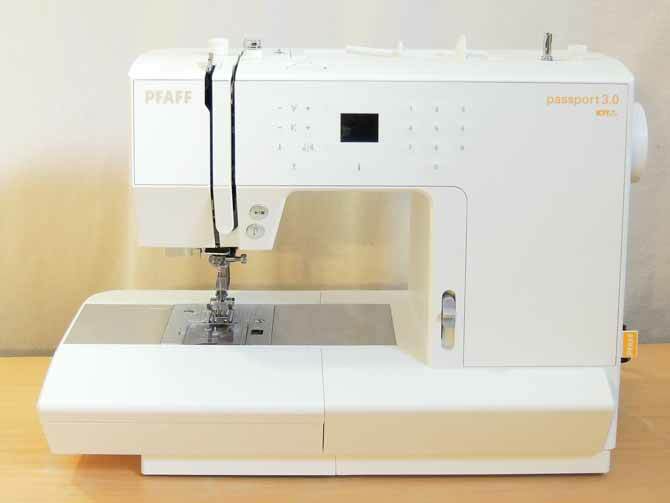 This machine sews precisely and has great features that help me quickly complete projects with fun details and professional looking top-stitching. 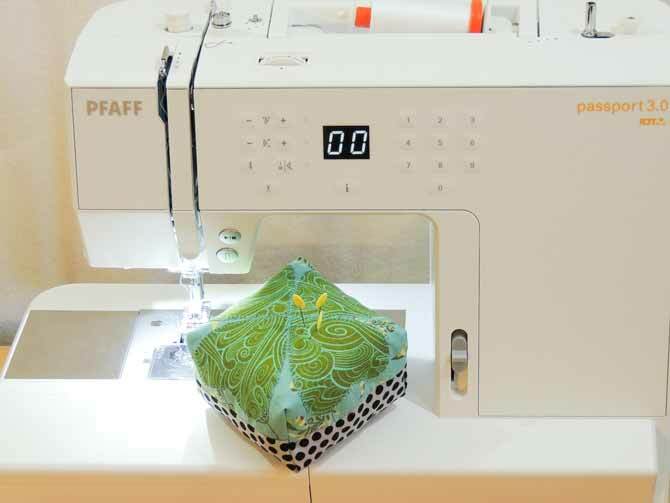 I decided it’s time for me to make something for my quilting space with the passport 3.0 and settled on a pincushion. I seem to be one of the only quilters I know who doesn’t have many pincushions, so now is the time! To make the four leaf clover, I used the same template from yesterday’s post but cut out four hearts instead of just three. I then pinned them to the top 6″ square of fabric. You can make your own heart template or use mine. To make my template I cut out a heart on a 2½” square of paper by folding the paper on the diagonal. 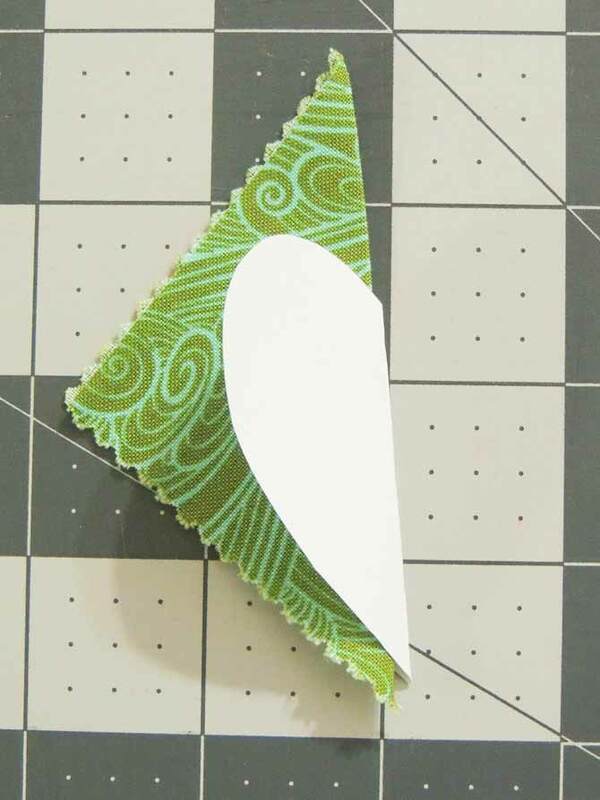 My green fabric was also cut in 2½” squares. I folded a fabric square on the diagonal then tucked it into the folded heart and cut around the template. I used stitch 27 to machine blanket stitch the pieces to the background square. I used the needle down button and IDT system with presser foot 1A to stitch. 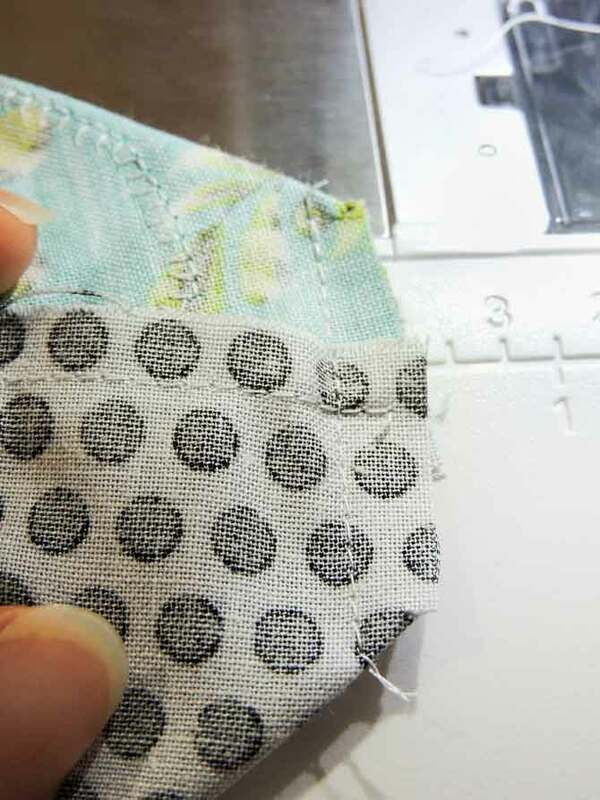 I also adjusted the speed of the passport 3.0 which helped me stay on the edge of my fabric and get even stitches. I started in the middle and sewed in a figure 8 to sew around all the hearts in one go. When I was done the blanket stitching I switched back to stitch 00 and changed to presser foot 0A. Then I sewed this top piece right sides together to the bottom fabric, leaving a turning gap in the middle of one side. Then instead of having a pillow like pincushion, I decided to box the corners to make the cushion more square. 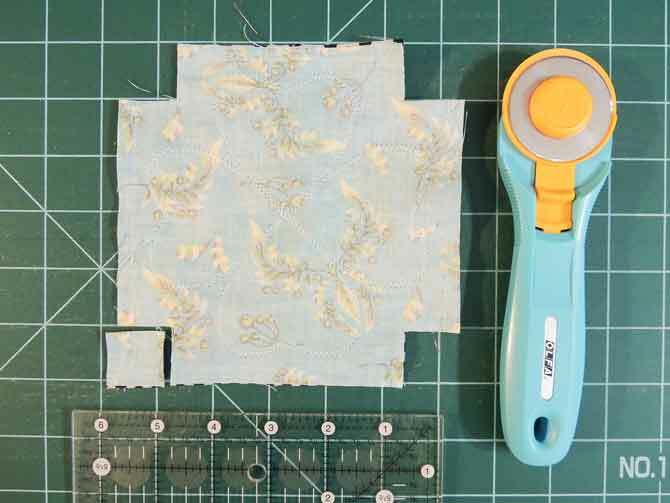 To box the corners I lined up the 1″ square grid of a quilting ruler at one corner and trimmed the inch away with my rotary cutter. I trimmed all the remaining corners too. Then I separated the front and back of the pincushion and then pushed them back together making a straight edge, nesting the seams. Straighten edge and nest seams. 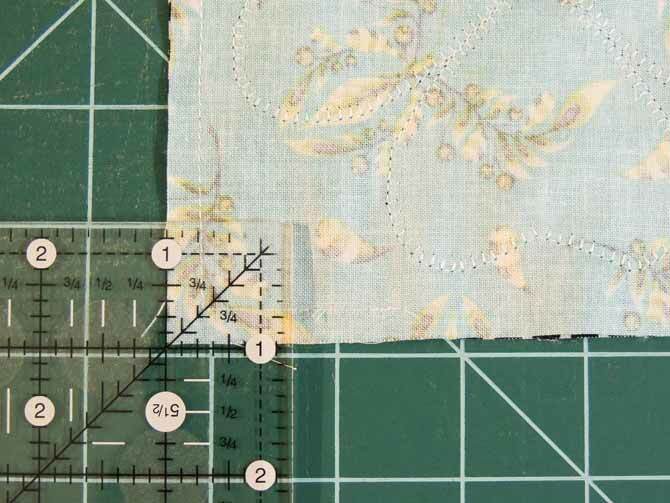 Then I sewed a ¼” seam at each corner. Believe it or not I recently purged my bits of batting so after turning the pincushion right side out, I resorted to stuffing my pincushion with wool bits that I purchased a few years ago. 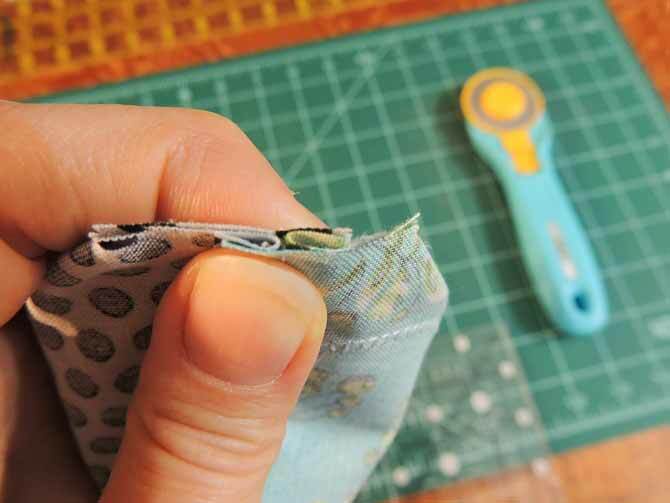 Use what you have on hand to stuff your pincushion, then hand stitch the turning gap closed. I’m really pleased with my lucky four leaf clover pincushion and the time I spent making it with the passport 3.0. I hope you make some time to create a little luck with decorative stitches and shamrocks this spring. Really cute! 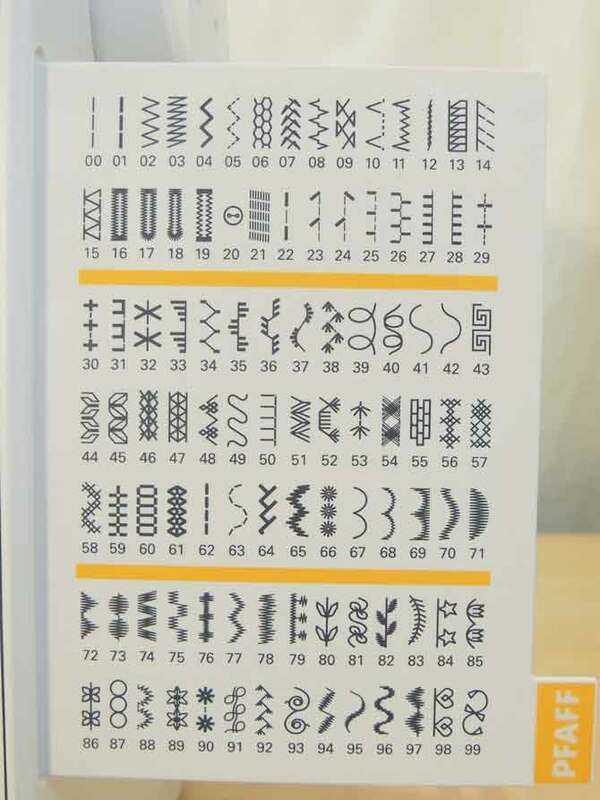 These would make great favors, door prizes or small gifts for anyone in a quilt circle. 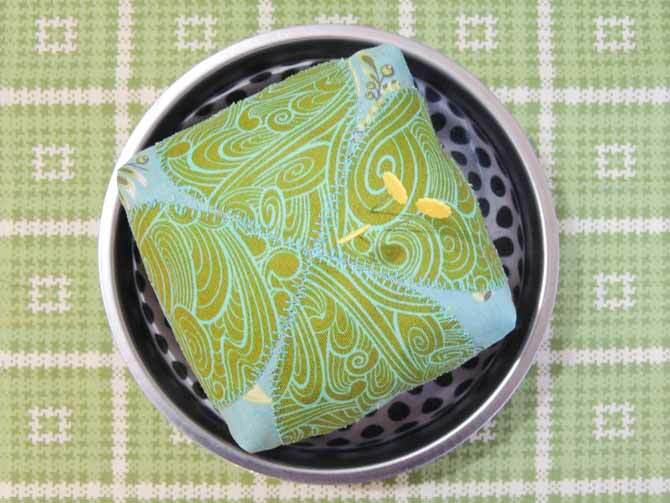 I would probably make this pin cushion first if I won this fabric as I have not quilted before. Looks like fun! This is really adorable! I’ve been sewing for a few years now but have just recently taken up quilting, I look forward to trying this little project. I really do need some practice with applique techniques.